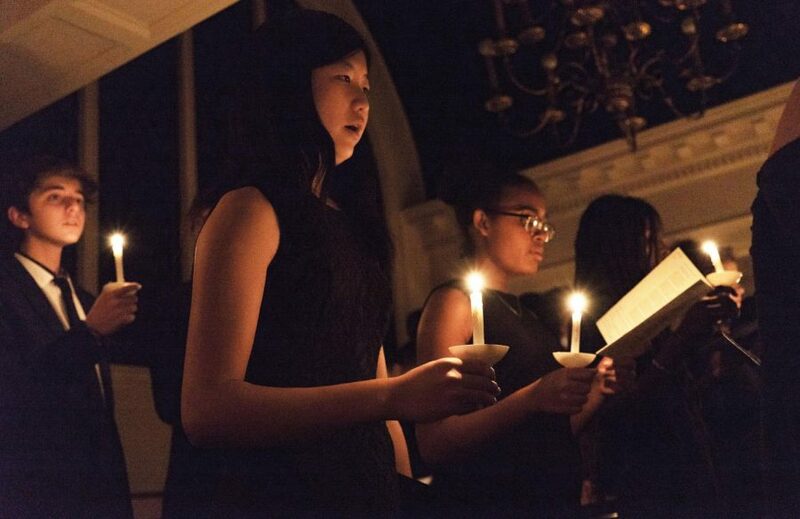 For 58 years, soft candlelight has illuminated the faces of local community members, students, and faculty as choral music reverberated around the chapel. Last Sunday marked the 59th annual Lessons and Carols, featuring music by the Hotchkiss Chorus and readings from the Bible by members of the school community. One of the oldest traditions at the school, Lessons and Carols tells the story of Jesus of Nazareth’s birth through scripture and hymns. The chapel was packed with students, faculty, staff, and local community members. Mr. Jack Brown, instructor in voice, directed the choir, and Dr. Jason Larson, school chaplain and instructor in philosophy and religion, organized the readings. 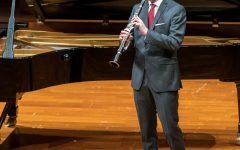 The performance showcased choral music from both classic and contemporary periods, featuring composers William Mathias, Arvo Part, and Philip Stopford. The eight pieces selected by Mr. Brown were a mix of a cappella and songs accompanied by the pipe organ.The congregation was invited to participate in many of the songs. The event concluded, as it has done every year, with the tradition of singing “Silent Night” by candlelight.